VIEWS FOR DAYS! 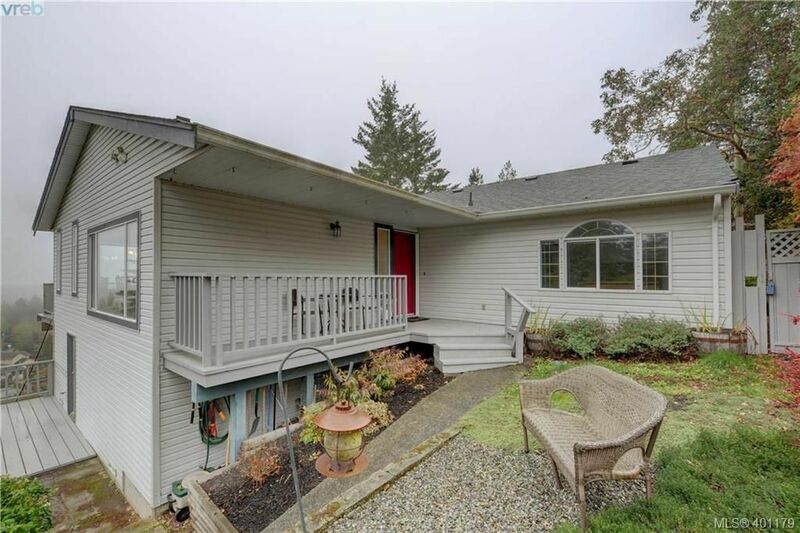 Perched high up on the hillside, this 1989 built single family rancher on 1.09 acres has it all! With over 2,000sq.ft of finished living space, this home features breathtaking ocean & mountain views and stunning Southern exposure. Pride of ownership is evident with tasteful updates throughout! Tiled entrance way leads to sunken living room and formal dining room with hardwood floors. White, shaker style kitchen with plenty of storage & counter-space. Inline eating area with slider to massive, entertainment-sized balcony. Large living room with bay windows that take advantage of the panoramic vistas. Spacious master bedroom with his & her closets and 3 piece ensuite. Two additional bedrooms of great size. Bonus home office with sufficient storage & bright studio space currently set up as craft room. Sliding door to fenced back yard & dog run. Flexible floorplan offers options for large & growing family's! Size, space and location, they don't make them like this anymore..